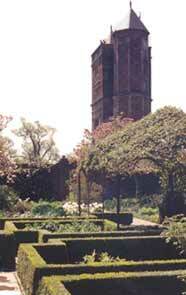 Sissinghurst, Cranbrook, Kent, TN17 2AB. This is one of those gardens that can quickly become like Piccadilly Circus. Maybe its because it’s in the South East or maybe its because of the literary connotations, I don’t know but be prepared to get there early. It’s owned by the National Trust and they’ll issue you with a timed ticket in a vain attempt to quell the numbers. That said its a “must visit” garden because of its influence on general design in the Twentieth Century. Don’t expect Topiary whimsy but its hedges are an example to all. Vita Sackville West, an author in her own right, wife of Sir Harold Nicholson and friend and confidant of the Bloomsbury Group regulars such as Virginia Woolf, is chiefly responsible for this garden. A wonderful retreat from London life. 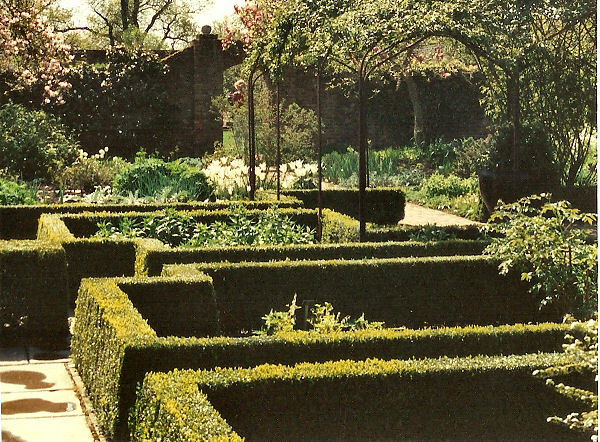 She tried all manner of innovations in the planting and was influenced by Lawrence Johnston of Hidcote Manor, hence a few hedged rooms, but what hedges! Many people visit because of the White Garden, which is located just to the north of the formal Yew Walk. The House was originally a Twelfth Century moated manor house but only the tower, where Vita wrote and where she died, still remains. 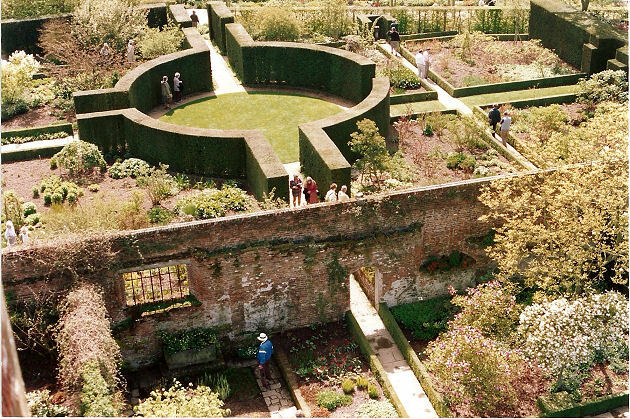 From the top of the tower you can survey the whole garden and get an idea of how the garden was originally laid out. There is a magnificent view of the Yew Roundel, but there’s also high Box edging to be seen. Lower down the tower is the room, kept as it was by the National Trust, where Vita used to write. You can peep in, if its not too busy. Outside the main gardens there are a couple of original Kentish Oasthouses, which are kept as a museum, and contain many fascinating items on the history of the Manor; however it is the garden which is rightly popular. I would put it down to the fact that many people can see in some of the individual spaces an idea that would fit in their own more modest plots, but I could be wrong.